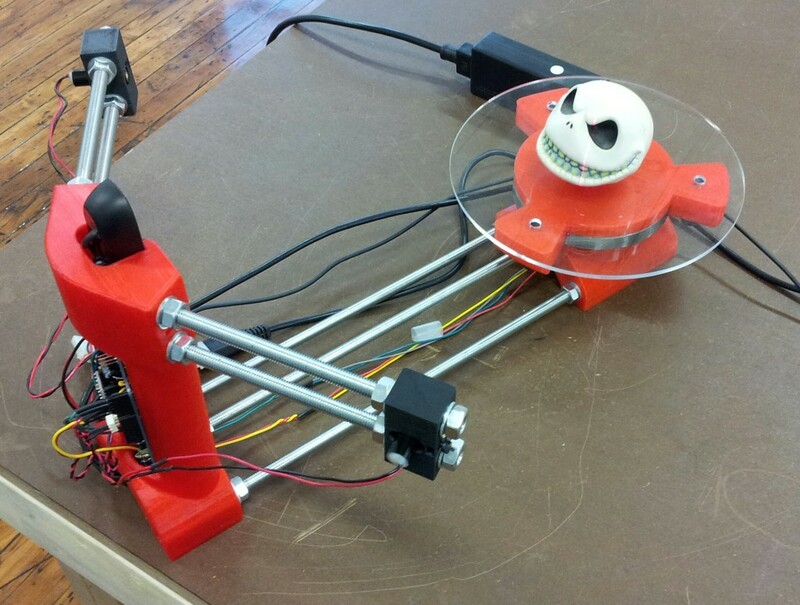 BQ’s Ciclop 3D scanner with OSMM stepper shield. Early in January, I ran across two different articles about open source 3D scanners. After discussing this with the other members of the Mill, I decided to build them and to prove that they were in fact open source. In the process, working on both of them let me fill gaps from one with info from the other. 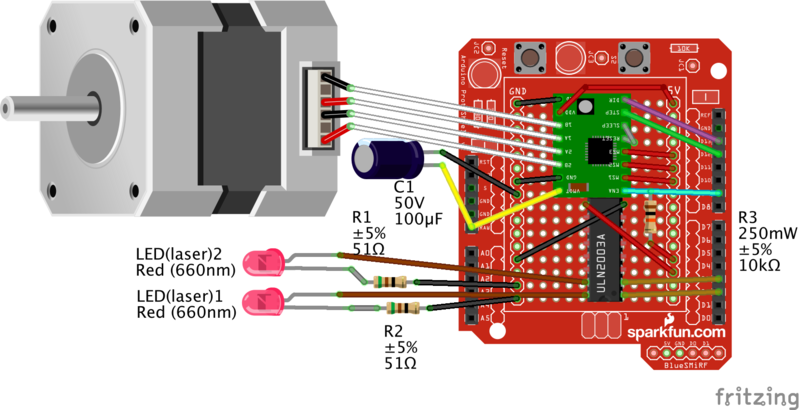 This scanner uses a Raspberry Pi (and Raspberry Pi Camera) to do: the imaging, user interface (via a web page), the math (including point cloud to mesh) and to control the A4988 stepper driver board and lasers. The Kickstarter campaign lets you buy the scanner, the kit, or just have access to the hardware design info. The software is freely available. Using the information provided on the FreeLSS site, I ordered some parts and wired up a solderless breadboard, connected it to a Raspberry Pi and did my best to approximate the hardware with LEGO bricks. This scanner uses an Arduino to control the A4988 stepper driver and the lasers. The UI and math are all done on your PC (not (yet) your Mac, but yes, Linux!). The imaging is through a Logitech UVC webcam. The exact Arduino and shield are not yet available. In the US we may end up paying a premium for these European boards. BQ released a complete Bill of Materials along with 3D printable STL files, laser cuttable parts, schematics, etc. The software supports Arduino UNO, not just their own Arduino. I deciphered the schematics and borrowed some hardware from the Atlas 3D (instead of FETs, I repeated the Darlington array chip as the laser driver). See the results below. I ordered all the hardware, printed all the parts, and put it all together. I wasn’t able to get the same exact laser, and the mounts as designed weren’t particularly aimable. So I made some changes. And it worked!